At Top Job Asphalt, we’re so glad we have the opportunity to participate in our communities and get to know you better. As you may have noticed on social media, we’ve acquired a new team member who likes to tag along with our crews and learn all about asphalt. 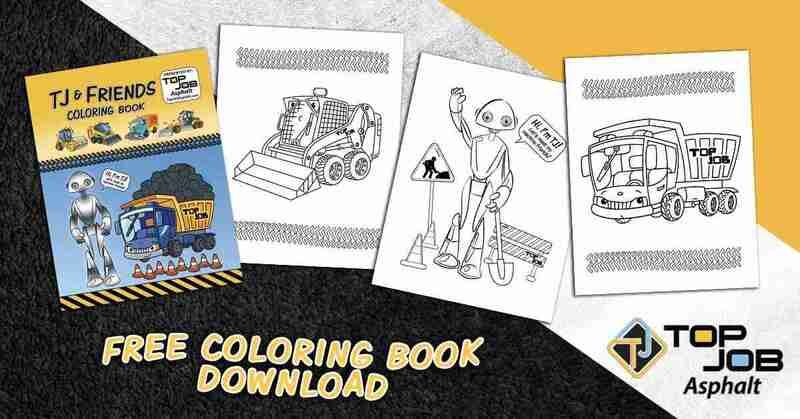 TJ-82 has become friends with some of the machines in our fleet, and together they’ve put together a fun and engaging kids’ coloring book. Print the whole book, or print just one or two pages. 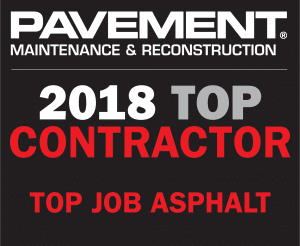 Top Job is your trusted asphalt contractor. We offer free, no-obligation estimates on all types and sizes of asphalt maintenance and paving projects. If you’d like to know more about the options for your property, contact us today! Fill out this form to download the TJ and Friends Coloring Book.